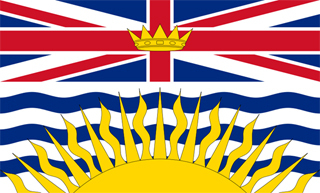 The Canadian province of British Columbia is Canada’s westernmost province. It has an alcohol and drug addiction rate of nearly 13%. That is one of the highest in Canada. British Columbia is bordered to the west by the Pacific Ocean. To the east is the Canadian province of Alberta. The U.S. state of Alaska can be found to the north, while the states of Washington, Idaho, and Montana border British Columbia to the south. The capital of British Columbia is Victoria, a small city located off the mainland on Vancouver Island. The province’s most populous city is Vancouver, which is located in the southwest corner of the mainland. British Columbia is known for its spectacular mountain scenery and its inhabitants, surrounded as they are by nature’s splendor, tend to take a conservationist’s attitude toward their environment. Recently, the British Columbia Medical Association published a report urging for the compassionate care of the individuals suffering from drug and alcohol addictions. They estimate that addiction costs the Canadian government about $6 billion dollars a year, and they argue that it’s time for the government to recognize addiction as a chronic disease and treat it as such. This can help remove the stigma of personal failure associated with addiction, which can make it easier for addicts to seek and find appropriate treatment. Vancouver is British Columbia’s largest city and one of Canada’s major metropolitan centers. Its drug and alcohol addiction rate is just under 11%–below the national average but higher than the addiction rates of other major Canadian cities, including Toronto and Montreal. Vancouver has a population of nearly 600,000, but the major metropolitan area is home to over 2 million people. That makes it the largest metropolitan area in all of Western Canada. Consistently rated one of the most livable cities in the world, Vancouver boasts a multiethnic population and a gorgeous mountainous backdrop. Yet, drug and alcohol addiction remains a serious problem, particularly in the inner city. In 2006, the mayor of Vancouver called for the implementation of an experimental program to combat addiction to cocaine and crystal meth. Under this program, addicts would be given substitute drugs to help them quit or at least prevent their drug habit from growing. Experimentation for a similar program in which heroin addicts receive small, daily doses of heroin is already underway. The goal of the program is one of harm reduction – if addicts are unable to completely quit their habit then it might at least be possible to minimize the harm associated with being addicted to drugs. Sobriety Home is a private, residential drug and alcohol treatment facility located a short drive from Ottawa. An important goal of the facility is to treat individuals suffering from addiction with respect and dignity. As such, the comprehensive care program includes accommodations and recreational facilities similar to those found in top-notch spas.